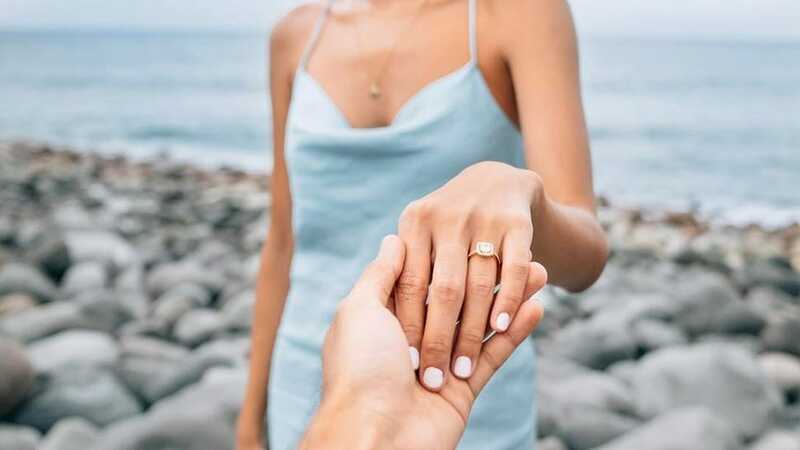 You finally have that engagement ring beaming from your left hand, but you can’t possibly upload a photo to Instagram, Snapchat it to your friends, or show your colleagues your hand until your nail polish is doing everything it can to make that ring pop even more. That is where we come in. Whether your ring is a bright white diamond, canary yellow stone, emerald, or ruby red, we have the best advice from the experts of which nail polish color will pair best with it. 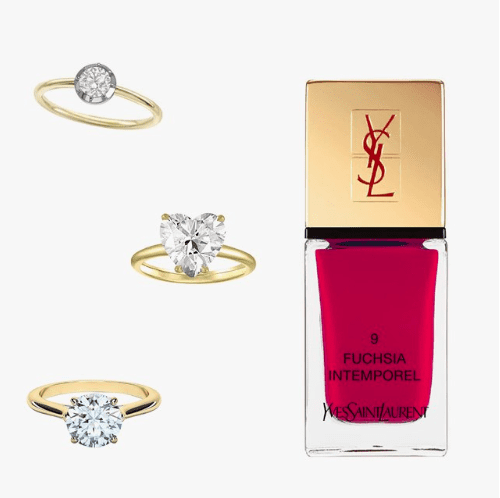 A classic engagement ring in yellow gold goes perfectly with a Fuchsia Intemporel varnish like this Yves Saint Laurent La Laque Couture Nail Lacquer. Whether you have a simple round button back ring, heart-shaped solitaire, or simple whichever shape it may be, this pink will make the ring pop. Similarly, a classic french manicure will work easily as well. These beautiful emerald green varnishes go excellently with a simple clear varnish. 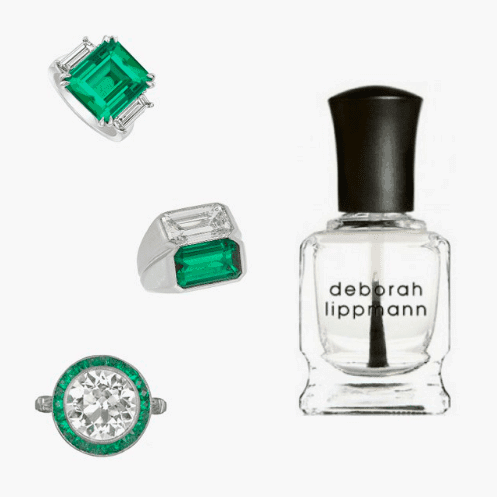 The Deborah Lippmann Hard Rock Nail Strengthening Top and Base Coat is a great choice to enhance that rock. Whatever you do, don’t try to pair it with another green or prime color. The Concierge emerald-cut pavé band ring, clear-cut three-stone radiant ring, and oval-cut diamond ring are all ones that bling so much they are unavoidable. 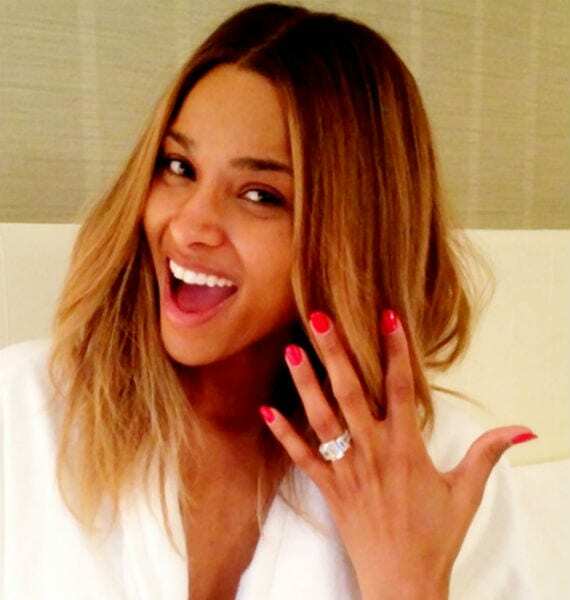 So for those brides whose ring speaks for itself, having a bright colored nail polish can work easily as well. 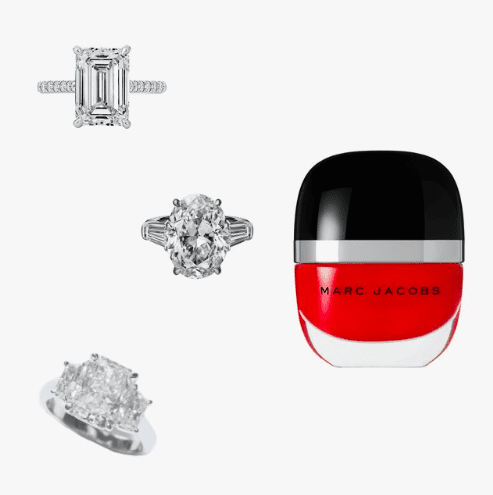 This Marc Jacobs Beauty Enamored Hi-Shine Nail Polish in Lola pairs gorgeously with these silver, white diamond rings. These rings such as the Tiffany Novo Horizon ring and the Cartier diamond and ruby engagement ring do not need a bright color nail polish to make it stand out. In fact, it requires the opposite. While the rings already bring a splash of color to your hands, going for a more neutral, pale color is best. This Essie polish in a cool pink, named Ballet Slippers, is the ideal match.